keynote speaker for this year's conference! Dr. Lawrence Paska is the Executive Director of the National Council for the Social Studies. He began his appointment in October 2016. Larry began his career as a middle school social studies teacher in New York State public school districts. He later served in multiple roles at the New York State Education Department (Albany, NY). He led New York's standards and assessment programs for P-12 social studies education as a state social studies specialist, established the Office of Educational Design and Technology in P-12 Education, and implemented the Board of Regents' Statewide Learning Technology Plan and regulations for online and blended learning as the Coordinator of Technology Policy. 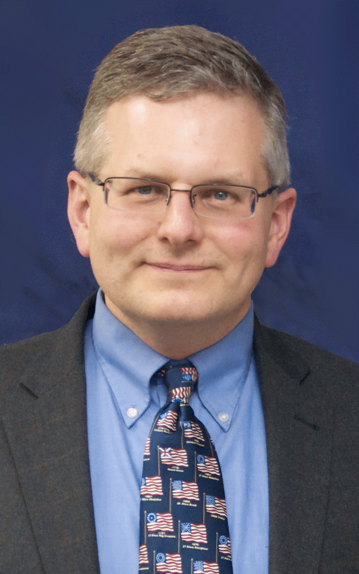 Larry returned to schools as the Director of Social Studies for the Harrison Central School District (Harrison, NY), leading K-12 social studies, business, and library media departments. Most recently, Larry served as the Director of Professional Development for the Southern Westchester Board of Cooperative Educational Services (BOCES), where he and his team provided instructional programs and services for 32 public school districts in the greater New York City region, supported data-driven instruction, developed instructional leadership seminars, and were instrumental in implementing New York State's K-12 Social Studies Framework. Within the NCSS community, Larry served as the 2015–2016 President of the New York State Council for the Social Studies (NYSCSS), and received NYSCSS' Distinguished Social Studies Service Award in 2017. He also served as the House of Delegates' Resolutions Committee Chair, and has been a member of three Associated Groups: College and University Faculty Assembly (CUFA), Council of State Social Studies Specialists (CS4), and National Social Studies Supervisors Association (NSSSA). He has taught social studies education methods at the university level and holds permanent 7–12 social studies education and school district administrator certifications in New York State. He earned a B.A. in History and an M.A.T. in Social Studies from Union College (Schenectady, NY) and a Ph.D. in Curriculum and Instruction from the University at Albany (Albany, NY).